Some people ask… What’s the difference between pre-visualization (pre-viz) and post-visualization (post-viz)? How do filmmakers plan ahead? What tools can help streamline the process? Production of any project can be a fluid process. Film and video production shot planning is done prior to principal photography. Most often, the director and cinematographer are involved in the pre-viz process. However things happen! 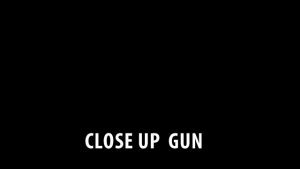 Changes can occur during shooting when any number of obstacles arise: change of director, weather interference, actor replacement, location issues and budget constraints. So be prepared for your production’s moving parts. Pre-viz is done prior to production and, when necessary, on the set during production. Directors and cinematographers rely on storyboards in combination with the script to plan their shots (character positioning within specific locations) and camera angles before stepping foot on the set, and communicate this plan clearly to cast and crew. 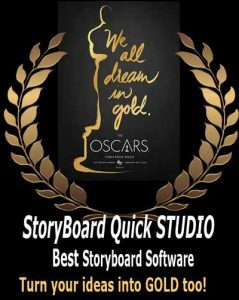 For previsualization, StoryBoard Quick, StoryBoard Quick Studio, StoryBoard Artist, and StoryBoard Artist Studio. Post-viz happens during post production when editing the project’s principal photography footage. It happens when a director or editor need to experiment with visualizing missing shots to: clarify story moments or alter the pacing of the project. Once principal photography is done, directors and editors turn to Martini QuickShot to help them fit the pieces together. Martini QuickShots replaces distracting boring white-text-on-black slugs. For post-visualization, Martini QuickShot Creator, works in Final Cut Pro, Premiere Pro, Avid and Sony Vegas. Planning saves a ton of time, energy and money during shooting too! And StoryBoard Quick and StoryBoard Artist software apps can save headaches. Whether you’re about to arrive on set or you’ve just filmed the final shot setup of the day (a/k/a the Martini Shot), digital visualization software helps create a better final project!